Ready to Enjoy the Cancun Lifestyle! Size: 265 sq. 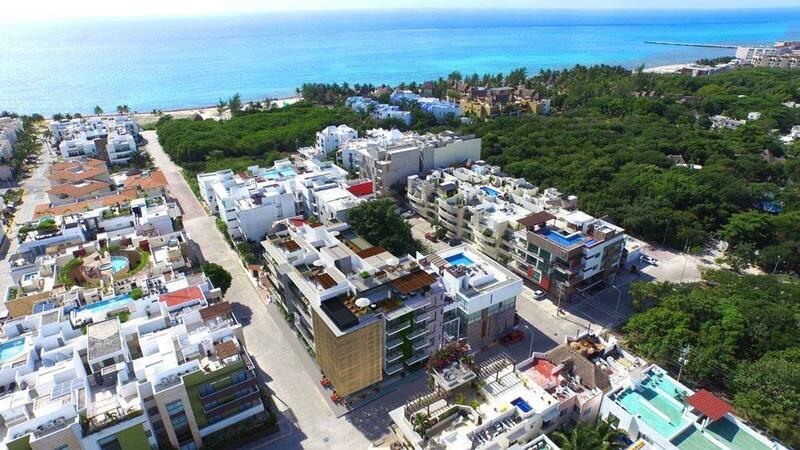 m. "2852 SQ FT"
Alisio residential, enjoy with exclusivity the best area of ​​Cancun. With a very exclusive tower and a total of just 36 apartments in a very large garden, overlooking the lagoon and the Caribbean Sea, it has been planned and thought out in every detail for the comfort for your family. Enjoy the turquoise blue Caribbean Sea in each wonderful sunrise and feel the romance of each sunset with an unparalleled view of the beautiful and relaxed lagoon from the comfort of your room or having breakfast or dinner on its very beautiful and spacious terrace. Located at the entrance to the Hotel Zone of Cancun, it converts lovers of exclusive and quiet areas into real inhabitants of paradise on earth, as it will be able to count on an easy and quick access to the Hotel Zone as well as to the city connecting it to a few minutes to the main avenue that opens the way to the Riviera Maya or the International Airport of Cancun. Lobby, Business center, multipurpose room, gym, beautiful gardens for yoga, Infinity pool and Palapa recreational, covered parking. Opportunity available and ready to be removed as soon as possible !! !